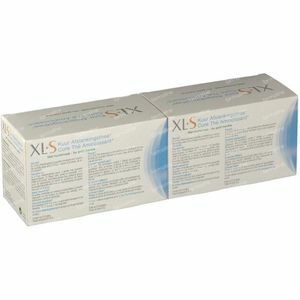 XLS Slimming Tea Mint 2nd At -50% 2x20 bags order online. 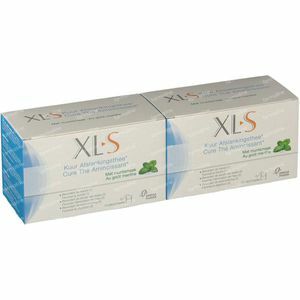 XLS Treatment Slimming Tea Mint has been developed in order to eliminate excess water, to lose weight. 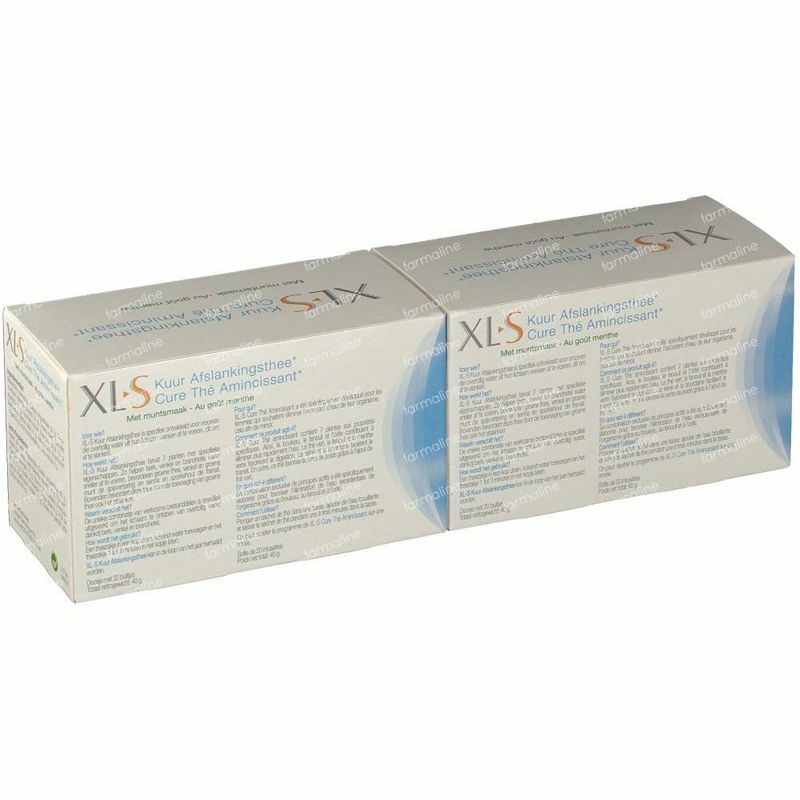 It helps to drain water quickly and promotes the transit and the digestion. 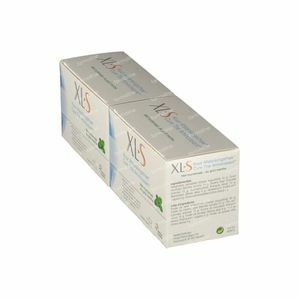 XLS Treatment Slimming Tea contains seven plants with specific properties. Birch, fennel and nettle help to eliminate the water quickly, green tea, fennel and spearmint promote the digestion and senna and buckthorn promote the transit. 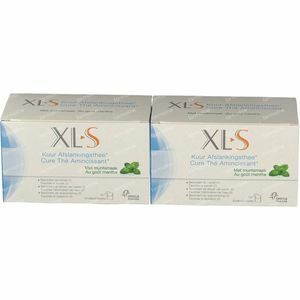 Moreover, these tea promotes also the weight loss by the addition of green tea. Put a teabag in a cup, add theboiling water to the cupandleaf the tea bag1to 3 minutesinthe cup. XLS Cure SlimmingTea canbe repeated during the year. Senna Leaf (Cassia angustifolia) 30g; Mint Leaf (Mentha spicata) 24g; Green tea (Camellia sinensis) 15g; Birch Leaf (Betula pubescens) 8g; Fennel fruit (Foeniculum vulgare) 8g; Buckthorn Bark (Frangula alnus) 10g; Netelblad (Urtica dioica) 5g. Do not useunder the age of 12. Keep out of reachof youngchildren. Consult yourdoctor ifyou are pregnantor giving breastfeed. 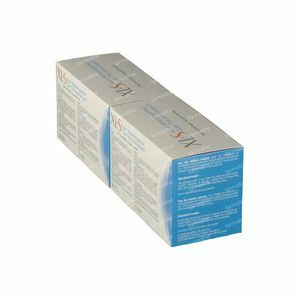 No prolonged use withoutprofessional advice.